Early 1975 was an exciting time for Led Zeppelin fans, with an upcoming tour and the impending release of the band’s sixth LP, Physical Graffiti. Unfortunately, a particularly passionate contingent of Zep-heads in Boston got a little out of hand on Jan. 6, 1975, unwittingly botching the group’s chances of performing in the city again. As writer Stephen Davis recalled in his book about Zeppelin’s 1975 tour, the band was planning winter dates, so tickets for its stop in Boston — scheduled for the classic Boston Garden — went on sale in January. The result? Thousands of fans lined up to spend the night outside the Garden in freezing temperatures. The early ticket sales cleared out the Garden much faster — by 6AM the show had sold out — but it didn’t prevent nearly $50,000 in damage. According to Davis, the invaders “broke into all the beer concessions and set fire to the old wooden seats,” prompting the arrival of riot police, who showed up with dogs to try and impose some sort of order. Unsurprisingly, Boston’s mayor, Kevin H. White, was not amused. White, a popular political figure who’d ultimately lead the city through four terms, wasn’t the anti-rock ‘n’ roll type; in 1968, he famously helped persuade James Brown to follow through with a planned performance after Martin Luther King, Jr.’s assassination, and in 1972, he’d actually gotten the Rolling Stones sprung from jail so they could make their Boston date. 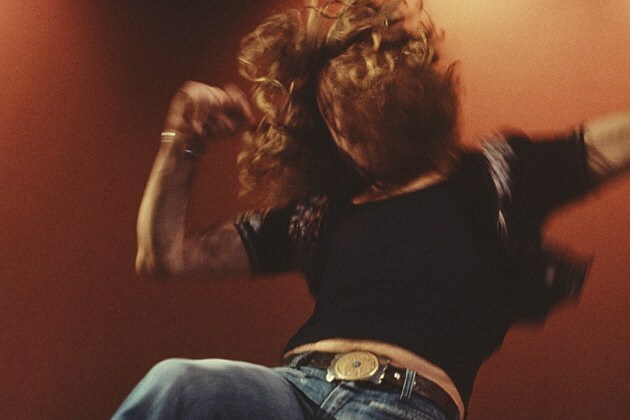 But the Garden fiasco left him in a less forgiving mood, and he imposed a five-year ban on the band playing anywhere in the city — a decision that meant Zeppelin would skip Boston on what ended up being their final North American tour in 1977. Zeppelin wouldn’t be the last band White banned from the Garden. Kiss suffered the same ignominy the following year after violating the venue’s pyrotechnics policy, and the Grateful Dead were reportedly kept out for years after getting caught grilling lobsters on a fire escape. As for White, he’d stay in office through the 1983 election, when he declined to run for a fifth term — a decision reportedly influenced by a long and expensive corruption investigation for which, in true rock-star fashion, he escaped any indictment.